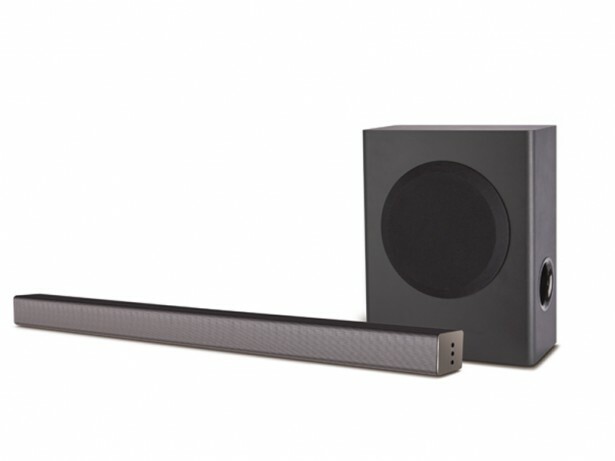 SONIQ Burst HSB101 sound system soundbar. The SONIQ Burst HSB101 sound system is a two-piece soundbar that brings explosively better sound to all your favourite TV programmes. Designed to help clearly replicate everything from conversation to conflict. Add onto that the ability to connect via Optical, AUX, USB, and HDMI and there will be a solution for everyone. The SONIQ Burst soundbar is so versatile you can place it almost anywhere. And with Bluetooth connectivity, you can play your favourite music wirelessly through the speaker, too. Single soundbar provides better sound quality compared to your TV. The HSB101 TV sound system is a simple solution, with advanced technologies that push the limits of conventional TV audio to get you a more immersive viewing experience. Bluetooth connectivity allows for wireless audio streaming from any of your devices. Simple and easy to set up, just plug and play. Accentuate your HD picture with the audio to match, and enjoy more distinct dialogue, richer soundtracks and effects, and deeper boom! The SONIQ Boom TV sound system is an easy solution, with advanced technologies that deliver the clear audio your TV can’t. Enjoy movies like you never have before. The Boom is so versatile you can position the soundbar wherever you choose—be that by the TV on a shelf or even mounted directly on the wall. “Setup” is probably the wrong word. All you have to do is connect the SONIQ Boom system to your TV with an audio cable that can be optical coaxial HDMI or analogue in order of preference. The Boom is compatible with all. Take command of your audio with the included remote control. Easily control your Boom so you can make adjustments on the fly.